Rexall Pharma Plus has a Mega Miles contest on now! 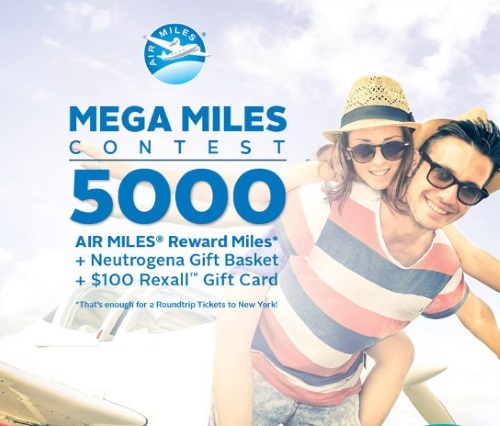 Enter for a chance to win 5000 Air Miles reward miles and a Neutrogena gift basket and $100 Rexall gift card! Contest ends June 29, 2016. Quebec is excluded.